A Splendid Messy Life: My New Favourite Evening Activity - Checking out an Author Reading + A GIVEAWAY!!! My New Favourite Evening Activity - Checking out an Author Reading + A GIVEAWAY!!! 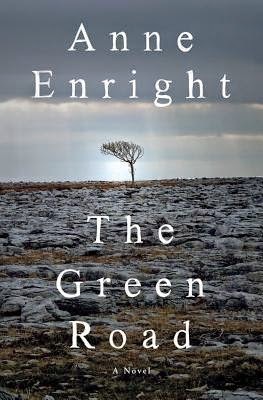 Remember a few weeks ago when I reviewed the book The Green Road? Well, while I was researching Anne Enright's book tour, I noticed she was going to be speaking in Toronto through the Toronto Public Library Author speaker series. So, even though it was one of those weeks where I had way too much going on, I sweet-talked Rob into giving me one more night out to go to this reading at the library with my friend Kelly. I'd never been to an author reading, which is a bit surprising considering I'm such an avid reader. But what's not surprising is that I totally loved it. 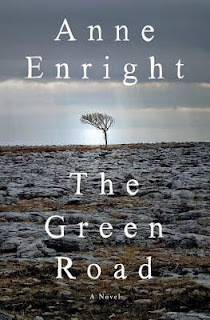 Anne Enright did 3 readings from The Green Road which I really enjoyed. It was so lovely to hear Anne Enright read from her book and see those scenes through her eyes. Then she had an interview with CTV's Marci Ien. Listening to her respond to Marci's questions really gave me so much more insight into this book. I learned more about the characters and have such a deeper appreciation for the book. I actually really feel the need to read it again with these new insights! So, author readings. This is totally my new favourite thing to do. Plus - they're totally free! Here are all of the author talks and lectures upcoming through the Toronto Public Library. Both Candace Bushnell and Judy Blume are speaking at the end of June. Judy Blume!! OMG how I wish I could go to this one, but unfortuantely I'm not free that evening. Someone please go to this event and tell me how it is, so I can live vicariously through you. Tickets are open for reservation June 1st here. So...I really wasn't planning a book giveaway right now, because I have another one coming up next month, but this week in the mail I received a second copy of The Green Road. I think it was a bit of a mixup that I received 2 copies, so I'm giving one away to one of you! (Just to be clear, the one I'm giving away unfortuantely isn't signed. It arrived after I was at Anne Enright's author reading). If I don't hear back from the winner within 48 hours of notification, I'll pick another winner. Giveaway closes Monday, June 1st.